Last weekend it was Emma’s 30th Birthday party. 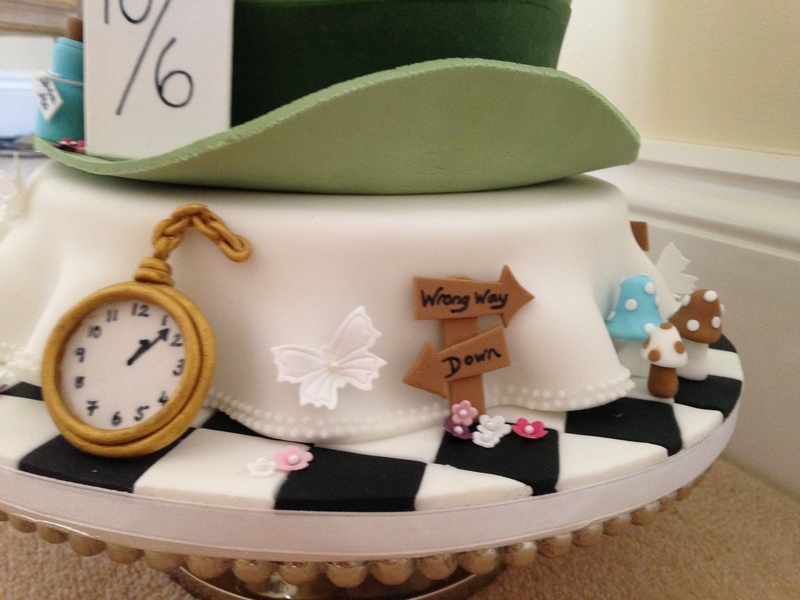 She had decided on an Alice in Wonderland theme for her party. It was fancy dress too and we had an brilliant afternoon and evening playing silly games and eating plenty of scrummy food. But no Birthday would be complete without a Birthday cake! 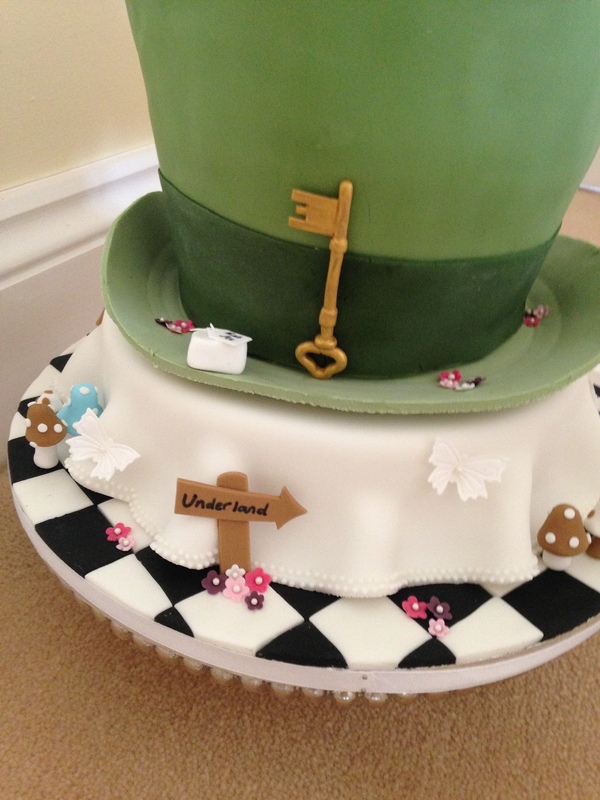 As Emma made me an amazing surprise cake for my 30th, I had a lot to live up to, so after several months of planning I found a design that was perfect that I could adapt for her cake. I made as many of the decorations as I could in advance, so that when I arrived back at my parents a couple of days before the party I only had to bake and ice the cakes. · Heat oven to 180C/fan 160C/gas 4. Butter two 20cm round sandwich tins and line the bases with baking parchment. Tip the sugar into a mixing bowl and add the softened butter and orange zest. Beat for 1 min or so until pale and fluffy, then beat in the egg yolks. · Sift the flour and baking powder over the cake mixture and fold in lightly. Finally, fold in the almonds and orange juice. Whisk the egg whites until they just hold their shape. · Fold one-third of the egg white into the cake mix, using the whisk. Repeat with another third, then the final third. Take care not to over-mix or you will lose the lightness of the egg whites. · Divide the cake mix between the prepared tins and bake for 30-35 mins. Cool in the tin for 5 mins, then turn out onto a wire rack, peel off the lining paper and leave to cool. · To make the icing, melt the chocolate over a pan of barely simmering water or in the microwave on High for 1½ mins, stirring every 30 secs, then leave to cool. Whip the crème fraîche until thick, then fold in the white chocolate. 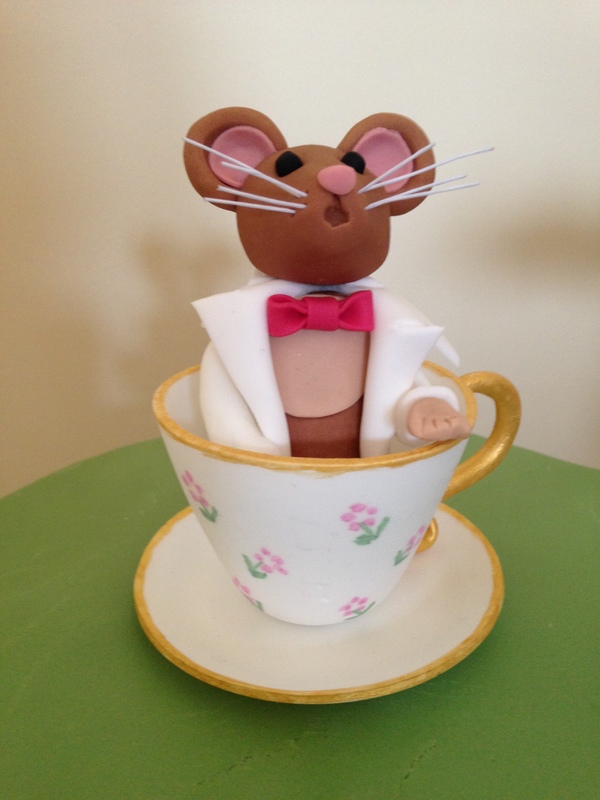 Set one cake on a serving plate or cake stand. Spoon half the icing onto the cake and top with the other cake. Spread with the rest of the icing, then allow to set in the fridge for at least 1 hr. 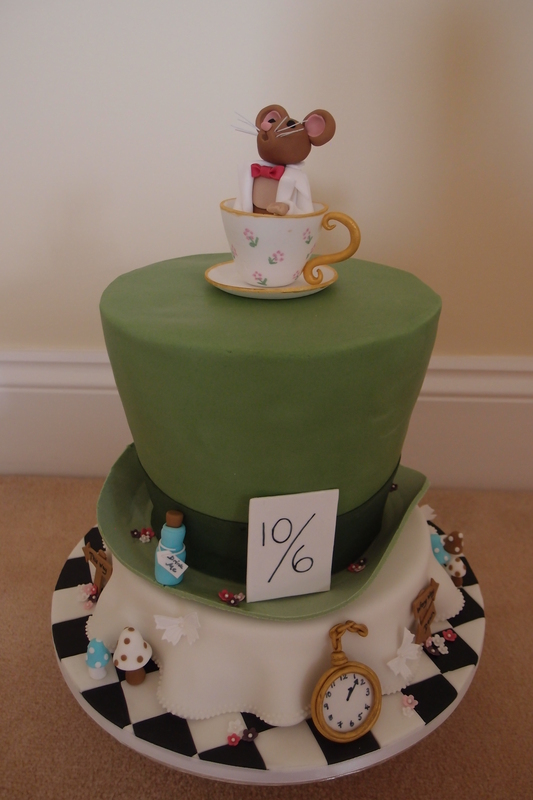 Once the cake had been layered up with the white chocolate icing and left in the fridge to set, I carved the cake into a top hat shape and then used some more ganache to smooth over the outside. This time I used white chocolate and cream instead of the crème fraiche as I wanted it to set quite hard. 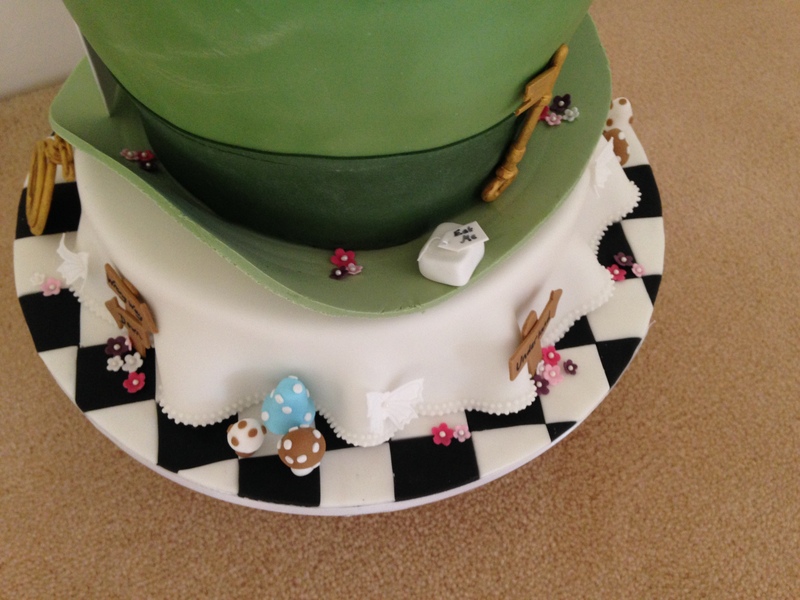 Once this had hardened I coloured some fondant green and iced the cake, this proved a bit trickier than I had anticipated due to the texture of the fondant not being quite right. But I managed it eventually! 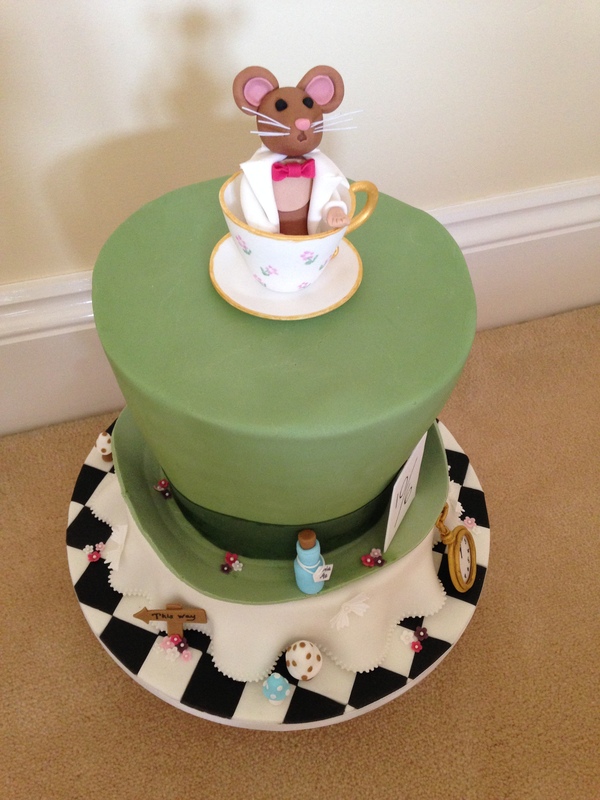 The cake looked great next to the other themed food for the afternoon tea and tasted pretty yummy too!